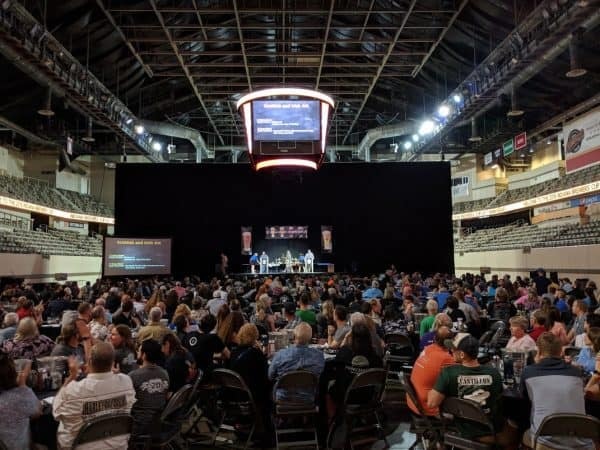 The 20th Annual Indiana Brewers’ Cup awards ceremony took place on Saturday at the Indiana State Fairgrounds Coliseum, honoring the best beer, mead, and cider in the state and beyond. For the second year in a row, Daredevil Brewing Co took home top honors as Indiana Brewery of the Year and Grand Champion Brewery, winning four medals, three of which were gold. Central State Brewing won Best of Show for King Billy, a Farmhouse Ale with gin-inspired botanicals brewed in collaboration with 8th Day Distillery. 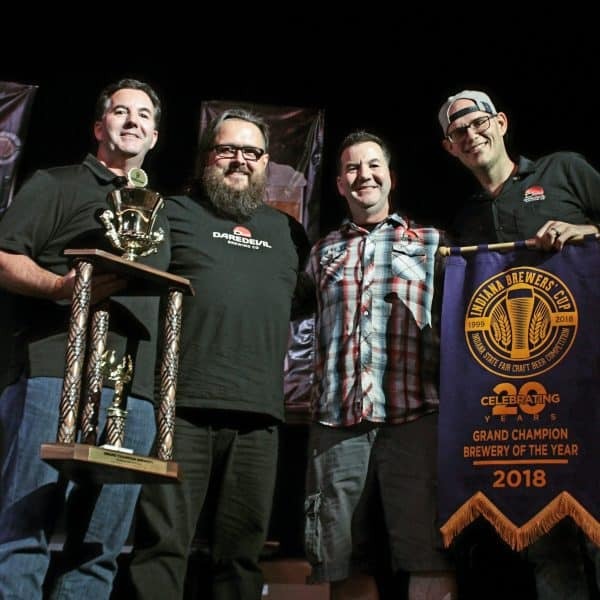 Top homebrew honors went to Foam Blowers of Indiana for Homebrew Club of the Year, David Bordenkecher for Indiana Homebrewer of the Year, and Northwest Indiana Brewers Society, recipients of the Bill Friday Club Award. Sandy Cockerham, a BJCP Grand Master IV judge, won the Golden Growler award for her dedication to Indiana’s brewing community. See the lists of Pro and Home Brew winners. The Indiana Brewers’ Cup is organized by the Indiana State Fair and is a Master Championship of Amateur Brewing (MCAB) Qualifying Event and a Midwest Homebrewer of the Year Circuit Event. The Brewers of Indiana Guild, the nonprofit 501(c)(6) trade association that represents Indiana’s brewing industry, is a longtime sponsor of the Brewers’ Cup and supports it through communication, promotion, and more. Learn more about the Indiana Brewers’ Cup, and don’t miss the 23rd Annual Indiana Microbrewers Festival, the Guild’s summer fundraiser, on Saturday, July 28, for your opportunity to enjoy beers from many of the winners while supporting Indiana breweries and charity partners.